Joey you seem to have some anger issues. At least these people are out riding. Who cares what they want to dress like or spend their own money on? It seems to me that you're the sad one here dude, not the other way around. Why are you so angry and hateful? What is best in life Conan? It's ^^THIS. Put me on a nice road bike and I become Conan. Truth. Don't like getting passed on your $10,000 S-Works time trial bike wearing ridiculous, useless kit? Take up golf. You can still waste PLENTY of money on golf clubs and fees: Tiger Woods Putter - $15,000, But I bet that won't improve your golfing either. Last edited by JoeyBike; 07-02-18 at 06:33 PM. Thinking most spandex-clad riders on expensive bicycles are posers is mostly incorrect. It's false and misleading. You get that misconception kicked out of you pretty quickly if you ride around the roads and parks that actually have spandex-clad expensive bikes. With very few exceptions these are seriously fast bicyclists. How do I know this? I live two blocks away from Forrest Park, which in turn is one block away from Washington University. A fair number of team bicyclists practice in this park because it has few stops; you can cruise up and down hills and through bicycle only trails. What's interesting is most of all the tops of hills have park benches; when you stop there you can observe bicyclists coming up from a fair distance. The spandex crowd is notably faster than most any other bicyclists. How fast? Ok, so if I kill myself keeping up with some of these guys (mind you, the guys I can actually keep up with), here's some figures taken from my speedometer. --The southward uphill 3/4 mile grind along S Skinker road. I am seeing 18 mph going uphill! Plenty of guys are passing me at that speed. --The 2 mile stretch along the Grand Basin. 22-24 mph, with plenty of spurts at almost 30 mph. And I am still being passed. As a generalization the spandex-clad crowd on expensive bicycles are much faster than others. Of course they are; they take bicycling seriously and train themselves while purchasing the best equipment. 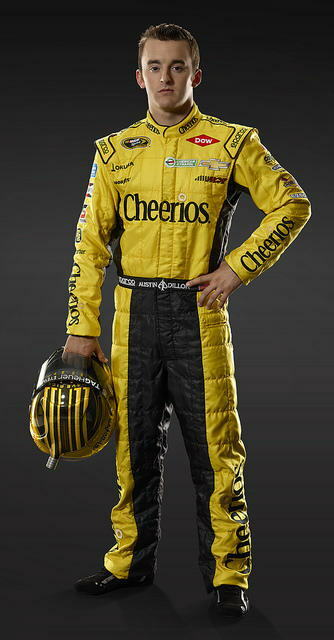 So if I dress like this driving my wife's Camry out to the beach, will that make the car faster? Or will I just look like an idiot? If you are racing, wear race kit. If you aren't racing, training for a race, or NEVER RACE, please please please do yourself a service and stop wearing the costume. It just makes regular people hate us more. Go up to these spandex crowd and tell them they are idiots for wearing that. If you feel strongly about that, assert your freedom of speech to tell them they look like fools for dressing in a way that makes you angry. This is easy to do. Just pass them, and while passing them or at the next stop, tell them how much you hate and loath their appearance. You might have a point; the normal courtesies extended to your fellow citizen do not apply when their loathsome appearance hurts your very soul. Yeah, you're a real tough guy, Conan. You don't understand what the kit is for or why people wear it, but that's really the least of your problems. Bike kit today mostly isn't for racing, but for comfort. A Nomex driving suit isn't comfortable, so it's small wonder people don't wear them for regular driving. It's safety equipment, like a five-point harness. Inventing a fake social mission for yourself where you're concerned that cyclists are more hated because some of them wear spandex is on-brand for you so far, but also ridiculous. I don't happen to think the misbehavior you film yourself engaging in has any real impact on public perception of cyclists, but it's ridiculous to believe that flagrant disobedience of traffic signals isn't an issue, but wearing spandex is. Not that I think you actually believe it. All that said, if people really did drive around wearing Nomex suits and consequently you felt the urge to drive faster than them and pass them while filming in order to "prove" that they're just posers and you're fast and awesome despite not wearing a Nomex suit, well. You would still be the more ridiculous and pathetic individual in that scenario. Last edited by grolby; 07-04-18 at 11:37 AM. I guess maybe I'm confused. I thought you were ragging on people getting ready for a triathlon. I.e. - they were racers. So it made sense to me they were wearing racing kit - specifically triathlon gear, riding triathlon bikes. It makes sense to me to use the right gear for the activity. When I used to paddle whitewater I didn't do it in my sea kayak. So the people you're trashing are not racers then? I still don't see why you care what they wear or how they ride but whatever.